It's not too early to start thinking about next year's conference! You could shape NPC20 in Houston by reviewing educational session proposals. Volunteer to be an NPC20 peer reviewer by noon (CT) on May 1. 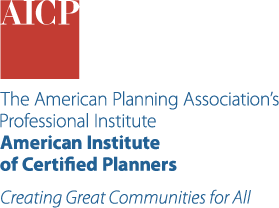 Having AICP-certified planners on your team assures quality, credibility, and ethics for your organization and the communities you serve. When you are hiring, look for the AICP credential in your screening process, and support your staff in earning the AICP Certification. Learn more at planning.org/AICP/employers.